Till recently, across many parts of Nepal, where people defecated was a matter of life or death. Sidewalks and trails strewn with human excrement spread disease and contaminated drinking water. The main killer of children in Nepal used to be diarrhoeal dehydration. 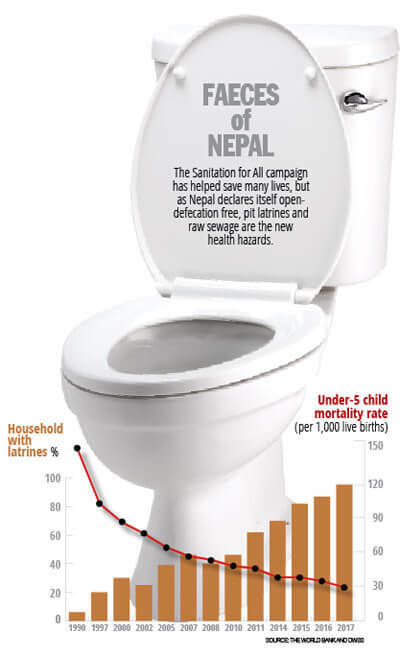 But in the past decade, the rapid spread of household latrines in Nepal is an internationally recognised success story. And it has saved the lives of many thousands of children who would otherwise have fallen victims to water-borne diseases like diarrhoea, typhoid and cholera. There is an inverse correlation between the increase in the proportion of households with toilets and the decrease in child mortality. In 1980 only 2% of homes had toilets, that figure has jumped to 97% today. In the same period, Nepal’s under-five child mortality dived from 209 per 1,000 live births to below 35 today. “The achievement in health outcomes of household toilets, especially in reducing diarrhoea incidence in the last five years, has been dramatic,” said Siddhi Shrestha of UNICEF. However, experts say just declaring a district open defection free does not mean it is — access to water supply plays a critical role. In addition, the toilets need to be cleaned regularly to keep them hygienic. An evaluation found many latrines of substandard construction, not child or girl-friendly, many were located next to water sources, or were contaminating ground water. Open pits were buzzing with flies, which spread disease. Toilets in many schools and households were so dirty many students and villagers preferred to go out into the open. “Having a toilet in every household and declaring a district open defecation free is a major achievement. But having a toilet is different from using a toilet,” explained UN-HABITAT’s Bhushan Tuladhar. 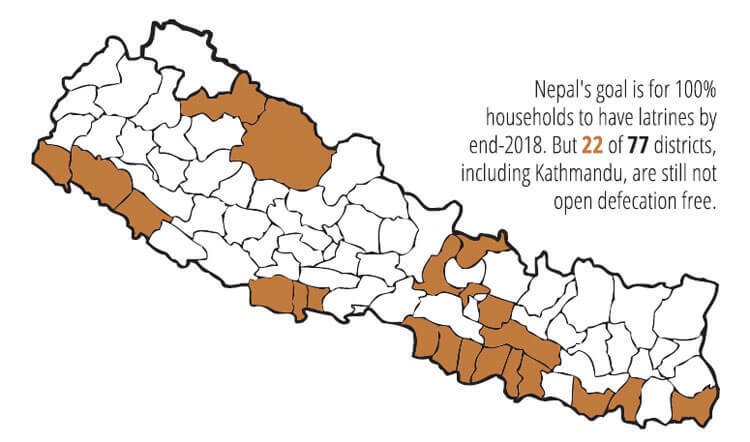 But as Nepal inches closer to the 100% household toilet target, another danger has already manifested itself: management of excreta that is overflowing out of pit latrines and septic tanks. There are only a handful of functioning faecal sludge treatment plants, even though emptying the sewage has become a booming business. Toilets are now being thought of as part of a value chain system, starting from user interface, containment and transportation of the waste, followed by its treatment, disposal and safe reuse. The current toilet technology that involves flush tanks using drinking water is resource intensive, especially in Nepal’s cities which suffer a chronic water shortage. Engineers worldwide are experimenting with the next generation of toilet designs that allow excreta to be burnt and converted into valuable energy source. They also want the new prototypes to be affordable, work off-grid so that the poorest communities have access to safe sanitation solutions (read story below). 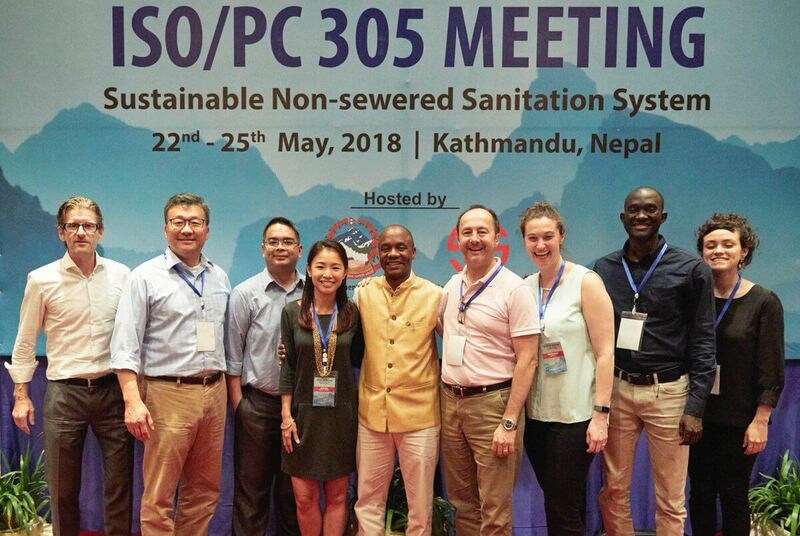 Sanitation expert Doulaye Kone of the the Bill and Melinda Gates Foundation was in Kathmandu recently for a meeting to approve a new standard ISO 30500 that set requirements for toilets of the future. They have to meet many criteria: destroy waste and kill pathogens, not use water or electricity, generate energy and water, cost less than Rs5 per use, and be easy to install and maintain. A working model for a future breakthrough in Nepal’s sanitation movement could be a new facility at an orphanage in Lubhu, which treats household effluent, turning it into methane gas, fertiliser and water for the kitchen and vegetable garden. Sanitation engineer Reetu Rajbhandari (pictured below at the Lubhu treatment plant) at ENPHO says the system is still expensive, and there are challenges of location. Nepal solved one problem, and created another. After a successful campaign against open defecation, 97% of households in Nepal now have latrines. But what to do with the waste that has accumulated in the pits and sewage? 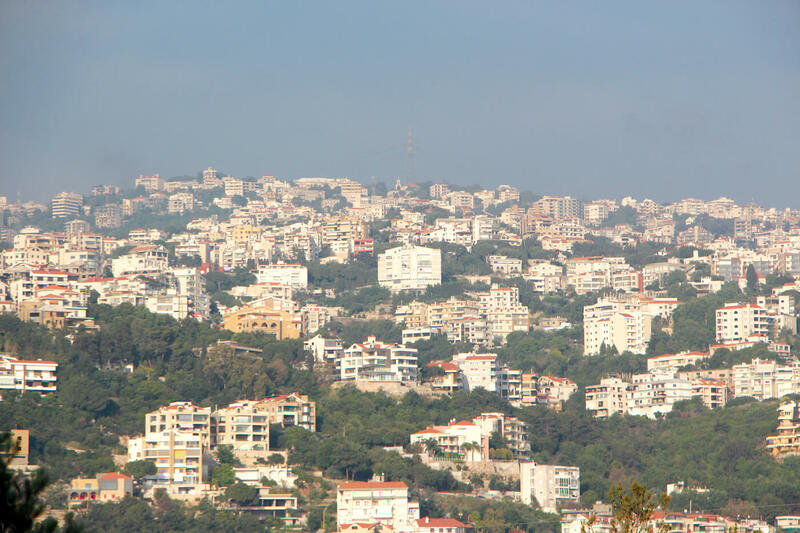 To solve the growing problem, the Ministry of Water Supply and Sanitation passed the Faecal Sludge Management (FSM) framework for the collection, transport, treatment and disposal of waste in urban areas. 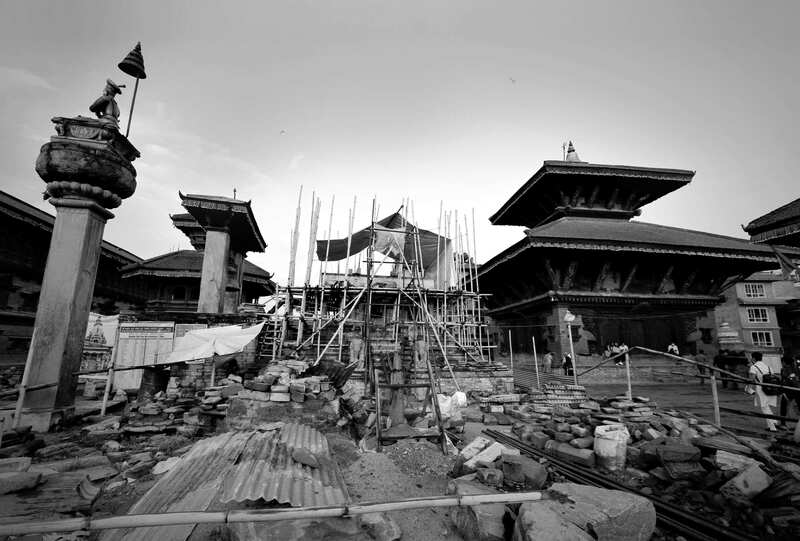 For Kathmandu Valley, this will go hand-in-hand with the government’s plan to free the Bagmati of sewage by 2020. A first-of-its-kind project at an orphanage in Lubhu (pictured above) outside Lalitpur gives a glimpse of how it would work. Septic tank waste is collected from households that pay for the service, transported to the treatment plant to be turned into fertiliser, methane gas and water. 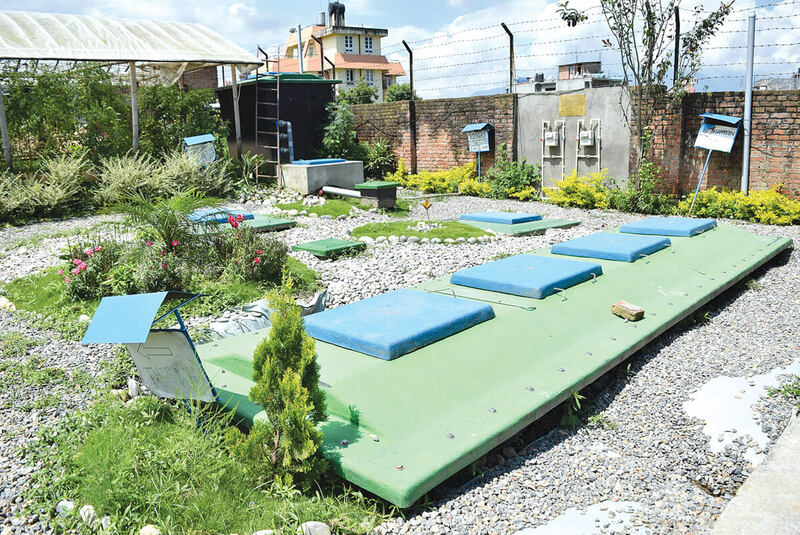 The plant (right) was originally set up to treat waste at shelters after the 2015 earthquake by the German organisation BORDA, Environment and Public Health Organisation (ENPHO), and Saligram Bal Griha. A similar faecal sludge treatment plant has been built in Bardia. The system treats six cubic metres of sewage per week, with separate solid and liquid units. It takes three days for the sludge to be treated and the water reused for irrigation. The rest flows into a digester to generate biogas, and the effluent takes 12 days to dry into odourless fertiliser. Vegetables thrive in the nutrient-rich waste, and are enough to feed all 42 children and staff in the orphanage. Extra greens are sold in the market. 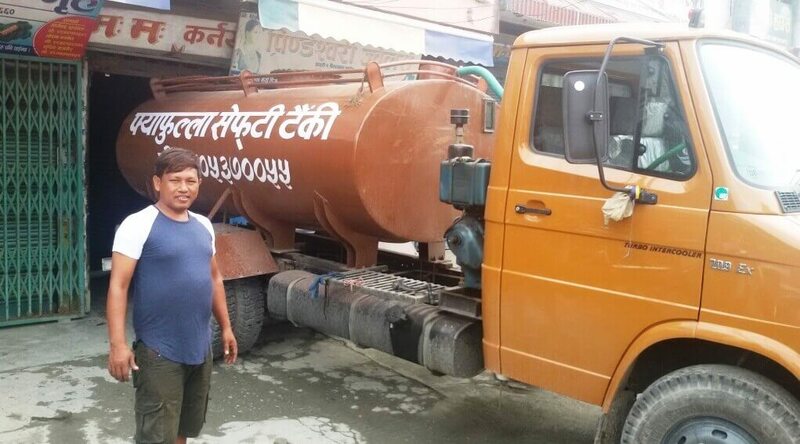 “We didn’t have sufficient water to farm in the past, now we can grow our own food, and cook in gas from treated human waste,” says caretaker Surya Prasad Ghimire. With a price tag of Rs7 million, the only downside for now is the cost, but that is because it is a prototype. When biogas first spread in Nepal 40 years ago, users were squeamish about allowing latrine waste to flow into the digester along with cowdung. By now there are 400,000 household biogas plants in Nepal, and nearly a third of them process both animal and human waste. In addition, 100 Police stations, Army bases and jails use human waste to generate gas for their kitchens. In the last 200 years, humans have sent rockets to Jupiter, the Internet has transformed communication, the Human Genome Project has mapped the chromosomes. Yet in that time, toilets have remained the same. Social taboos about defecation have stymied toilet technology from evolving beyond the ceramic water closet that allowed loos to be located inside homes. Aside from some automation and digital spray control, toilet technology has remained unchanged for two centuries. Finally in 2011, the Bill and Melinda Gates Foundation launched the Reinvent the Toilet Challenge to provide safe and affordable sanitation solutions to 2.5 billion people worldwide who don’t have access to toilets. The idea was to stop open defecation with a cheap alternative that would also prevent the spread of infections. 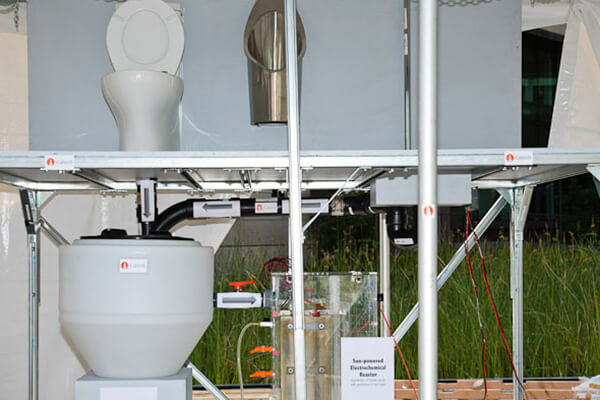 The Foundation’s specification was to re-invent the toilet that would destroy the pathogens in human waste, convert it into energy, and not need to be connected to the sewage, water, or electricity grids. And, oh yes, it should also cost less than $0.5 cents per user per day and be suitable for urban poor and rural settings. Many companies have joined the competition with ideas like: a solar-powered toilet that generates hydrogen and electricity, sanitation systems that convert human waste into biological charcoal, fuel gas, minerals and clean water. The challenge has gained momentum in India and China where engineers are coming up with innovative new technologies. Last week, 120 experts from 33 countries were in Kathmandu (pictured above) to brainstorm on sustainable non-sewered sanitation systems, and approved a new standard ISO 30500 that set the requirement for toilets for the Third World that are safe, cheap and don’t need water. “Toilets today do not work. We need a system that kills pathogens, runs off the grid, and is affordable. 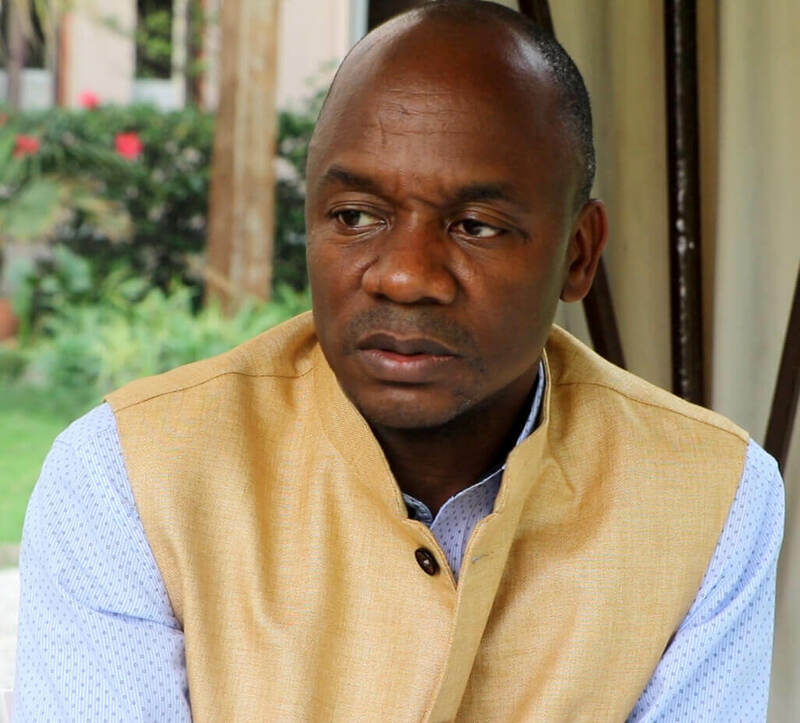 A structure that can operate without existing infrastructure and reach marginalised communities,” explained Doulaye Kone (pictured below), sanitation expert at the Bill and Melinda Gates Foundation. The Challenge is literally a challenge. What engineers have come up with so far are contraptions ranging from what look like mini nuclear reactors to glorified pit latrines. Kone says what the Foundation is looking for are appliances that will outwardly appear no different from existing toilets, but will be standalone structures with no sewers, and can convert waste into clean water and energy. Cost, maintenance and social acceptance will be the main hurdles to be overcome. Manufacturers are ready to bring some of the new inventions into the market, but the ones so far are still expensive. Kone argues that while the prototypes may be expensive and will target urban dwellers, mass production of a viable business model will eventually take it to the poorest.